All Posts Tagged With: "Bobbi Brown"
Beginning today, the first of two Bobbi Brown ads featuring Katie Holmes debuted at counters and online. 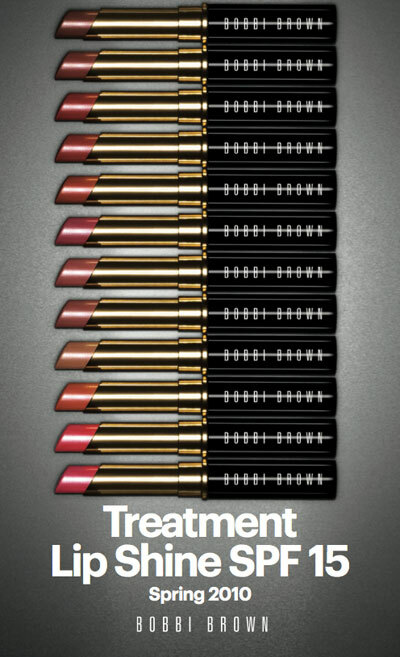 The ad image features Katie wearing the new Long-Wear Cream Shadow Sticks, launching January 20th. This is the first of two ads that will formally break in February 2013 as part of the brand’s first-ever ad campaign featuring our first-ever celebrity spokesperson. New Makeup. Bobbi Brown NEW Creamy Concealer & Corrector, available from March 2011. Bobbi’s taken her number one beauty secret and made it even better. 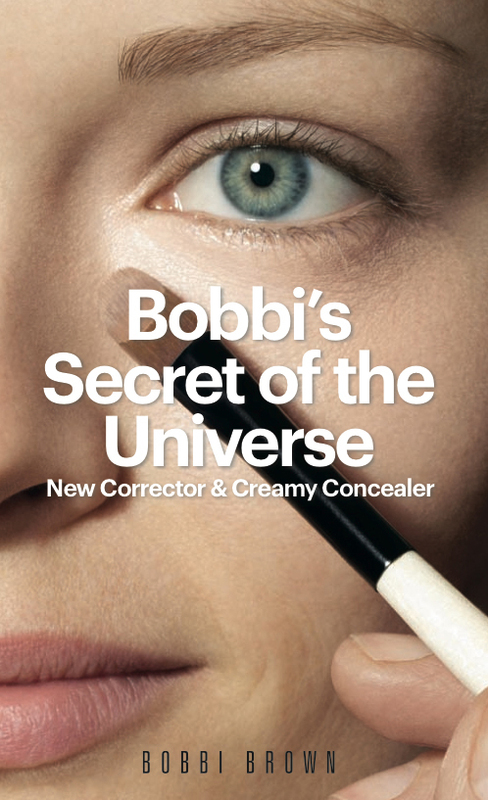 Reformulated to deliver perfect coverage, the new Correctors and Creamy Concealers erase dark circles as only Bobbi Brown can. 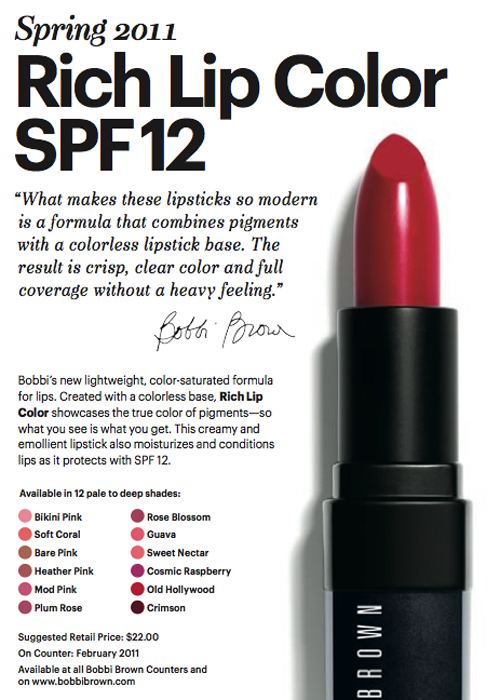 Bobbi Brown Rich Lip Color SPF 12 will be available February 2011. New Makeup. 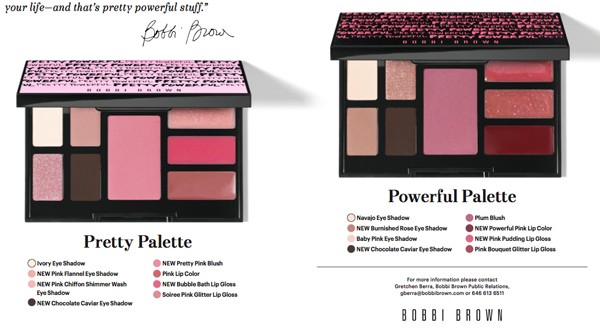 Bobbi Brown Pretty Powerful Collection will be available January 2011 in Pretty and Powerful from Bobbi Brown counters and bobbibrown.com.Price: $60(each). 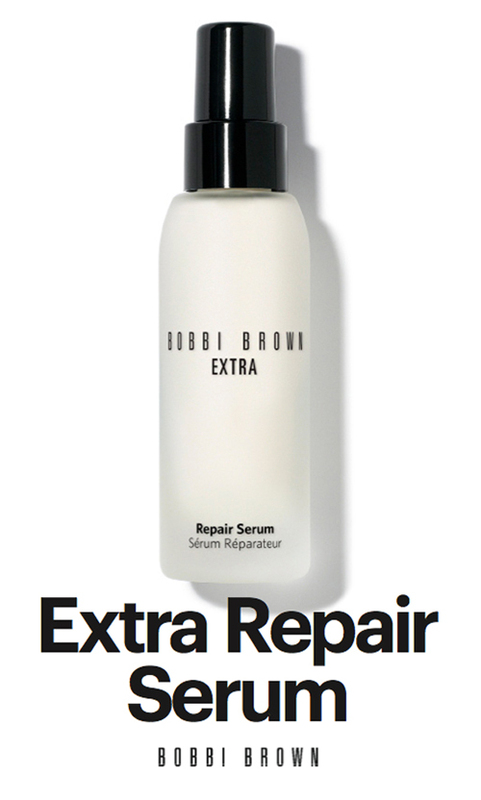 The new Bobbi Brown EXTRA Repair Serum will be vailable January 2011 from Bobbi Brown counters and bobbibrown.com. Price: $105. “I created Extra Repair Serum for women who want moisturization and repair in one. It not only feels great the moment it goes on but also helps skin look better day after day.”- Bobbi Brown. 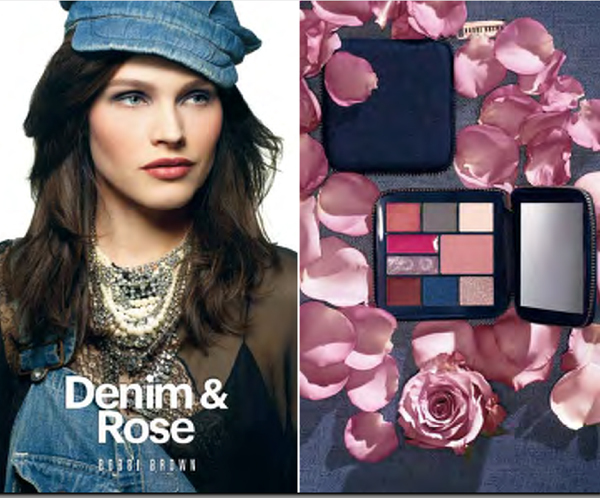 Introducing Bobbi Brown Smoky, Sultry, Smoldering Collection/November ’10. 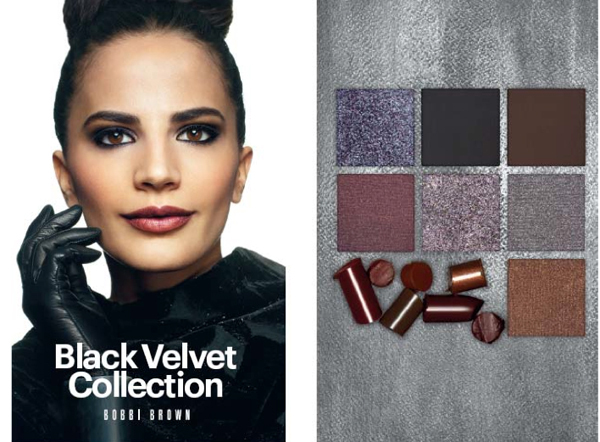 Introducing Bobbi Brown Black Velvet Collection! Now in three new almost-black shades. Metallic Eye Shadow combines rich, high pigment color with intense shimmer. Each shade applies smoothly and evenly, and stays crease-free for all-day wear. Now available in: Black Berry, Black Cocoa, and Black Charcoal, $20. This Mother’s Day, Bobbi’s got you covered! 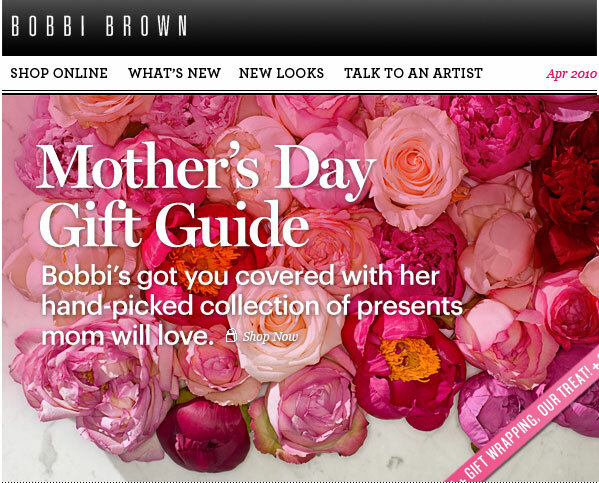 Visit www.bobbibrowncosmetics.com for a selection of perfect presents for every mom, hand-picked by Bobbi Brown herself like her exclusive Shimmer Brick for Body Set, or Cabana Coral Palette. Also, on any online order, enjoy a travel-sized Crystal Lip Gloss and EXTRA Balm Rinse with code: FAVES1*, and free shipping on orders over $65. And don’t forget— gift wrapping is their treat!